The best social media tool for photographers. Upload, share and analyse your photos. With Pixbuf, you can easily upload all your photos, share it automatically to all available social networks and photography services and see your photo analytics. 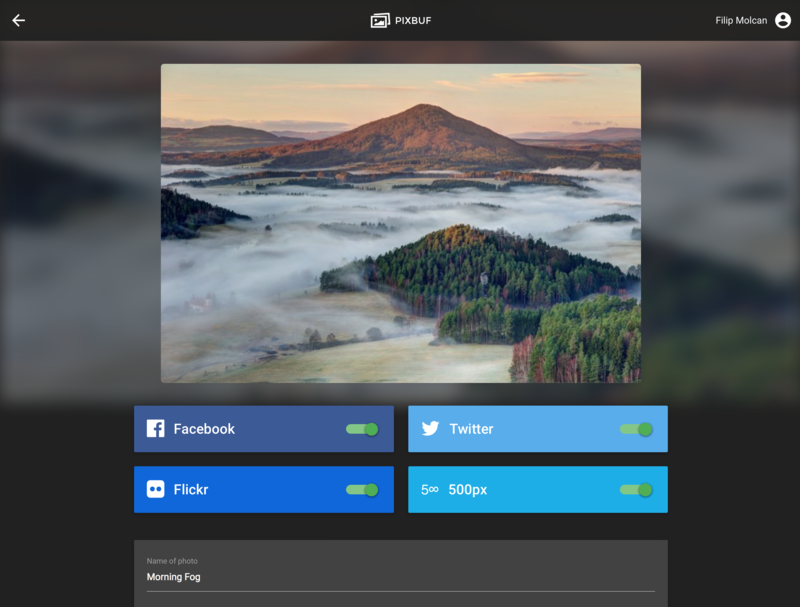 Pixbuf is Buffer and Google Analytics for your photographs. Filip Molcan – Entrepreneur, traveler and photographer living in the mountains.